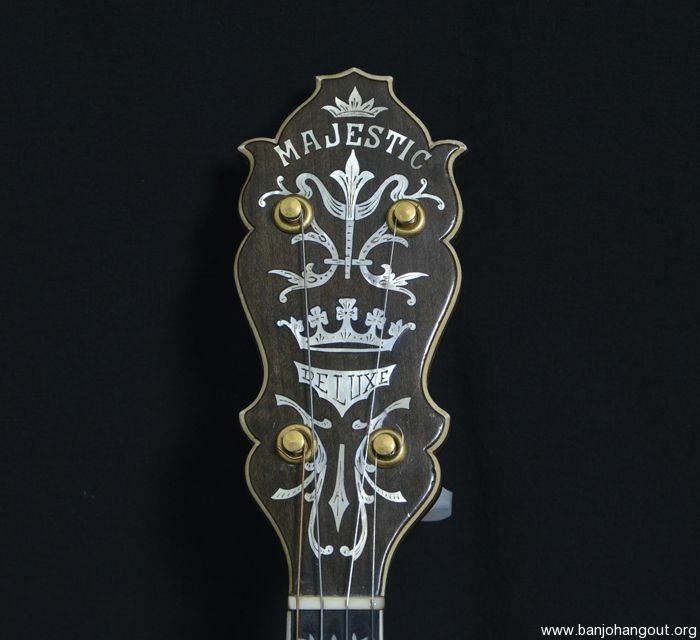 SOLD Majestic is its name, and its appearance, playability and tone are Majestic as well. 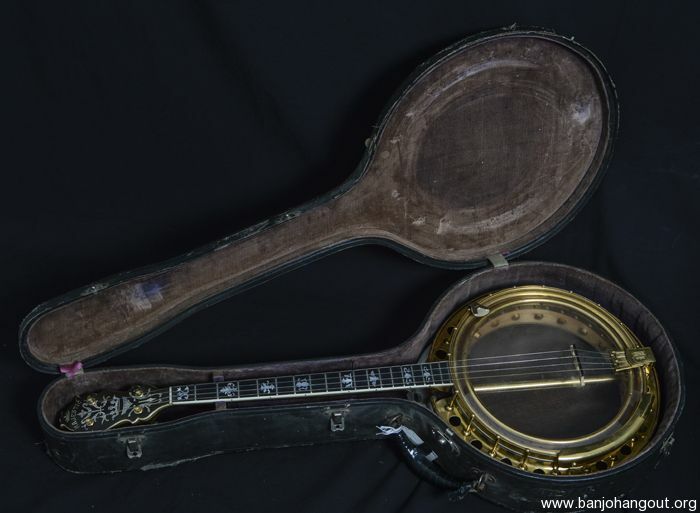 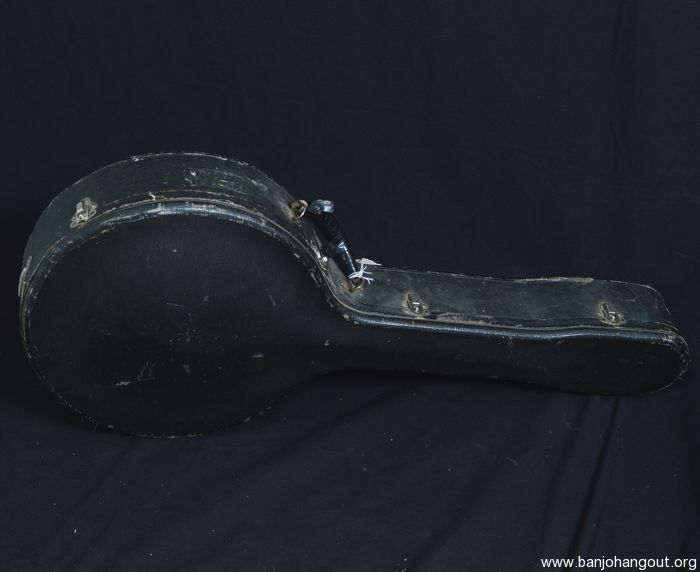 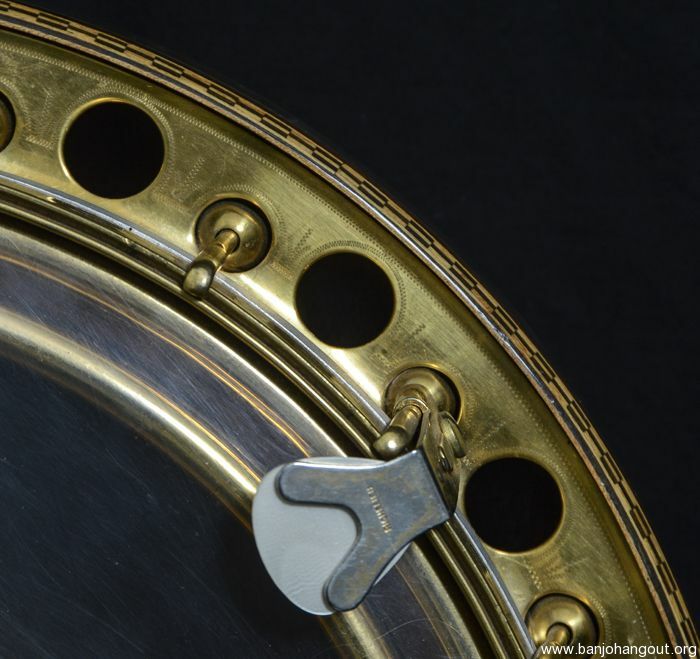 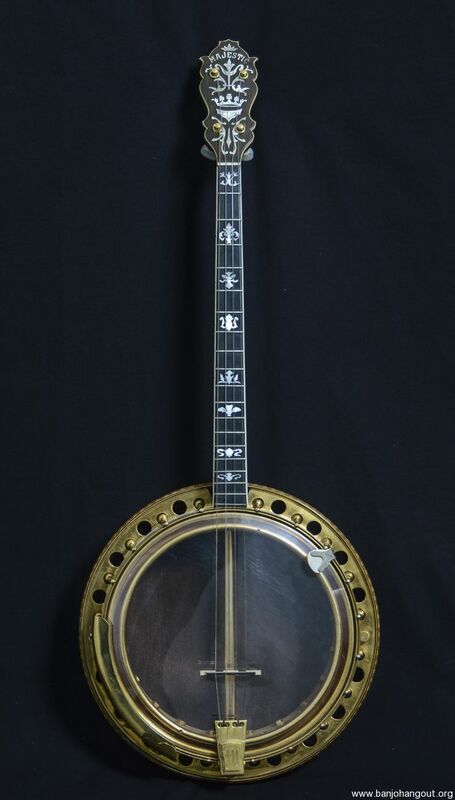 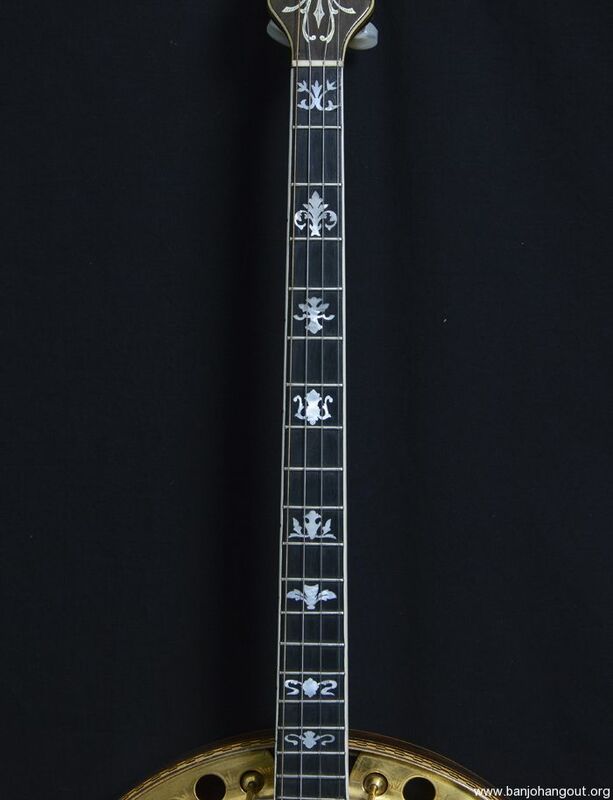 This beautifully ornate tenor banjo was built in the1920s by noted luthier Gaetano F. Puntolillo who was also responsible for the S.S.Stewart Wondertone and other spectacularly decorated banjos. 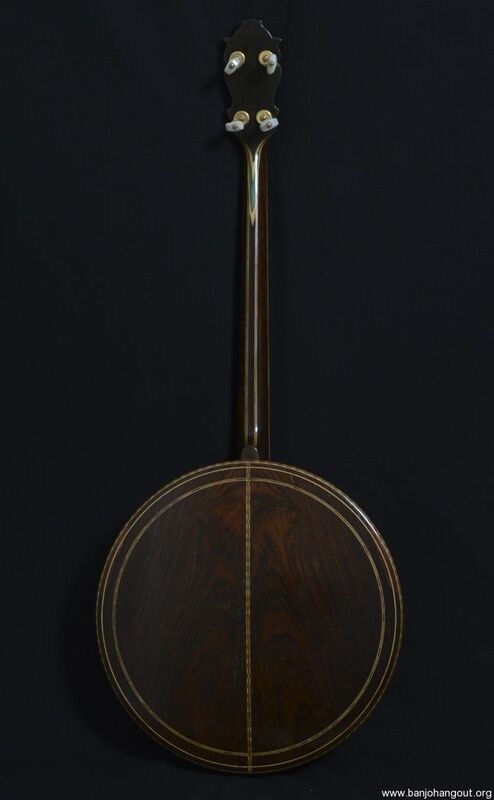 ?This example features a beautifully inlaid fingerboard, gold plated engraved parts and a highly-figured rosewood resonator with inlaid marquetry. 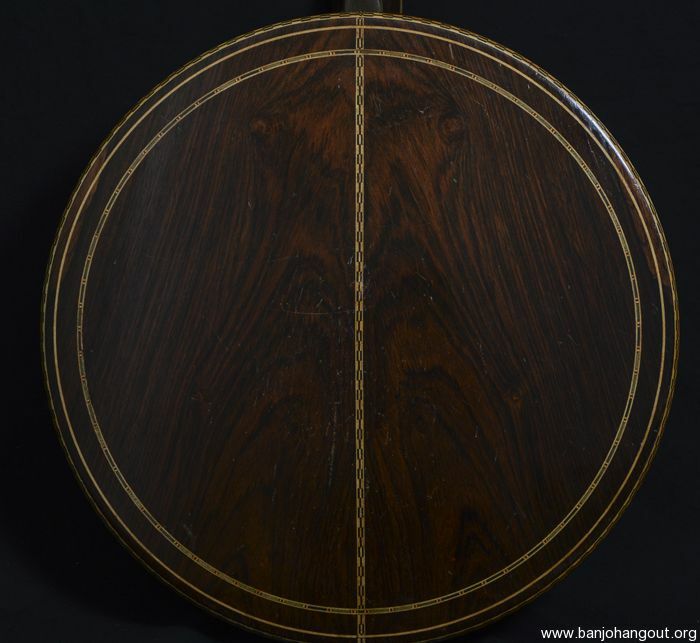 The classic peghead is spectacularly inlaid as well. 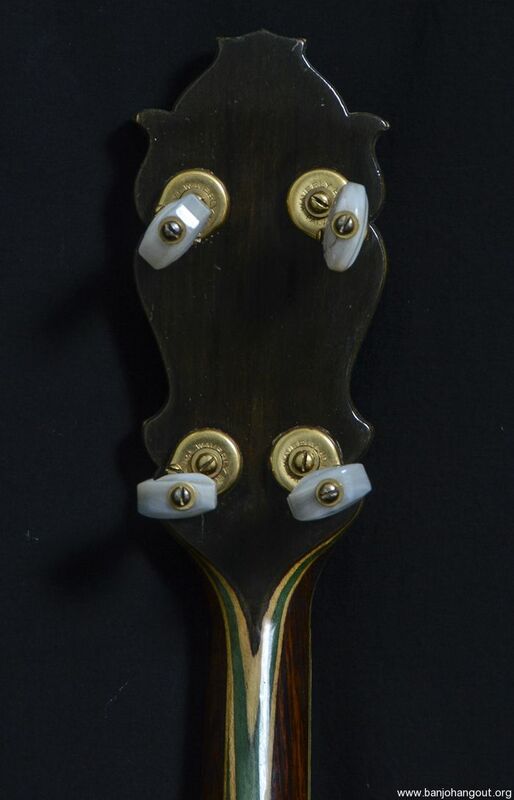 But most importantly, the tone is equally incredible — responsive, crisp and powerful. 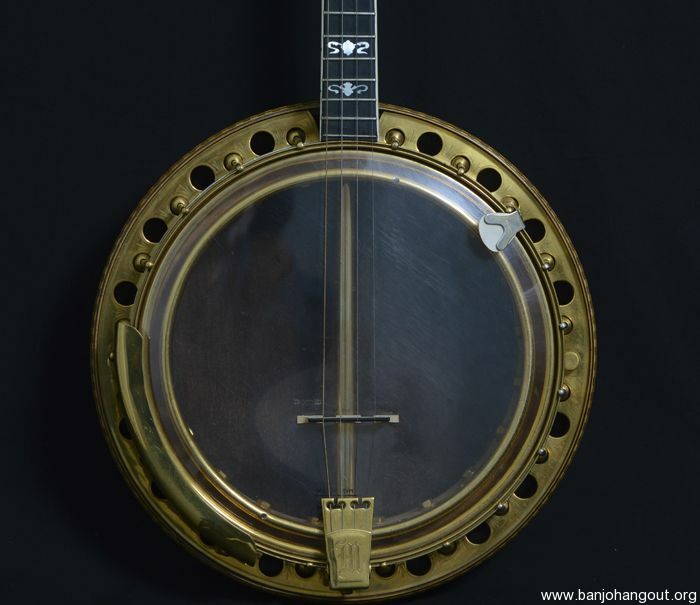 This high-end Majestic is in extremely fine original condition and can cut through all the instruments in an Dixieland or Jazz ensemble with incredible clarity and volume.